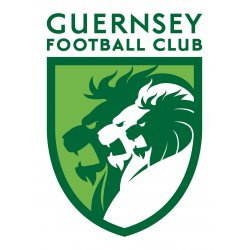 Guernsey had spent the last seven days exhorting the good folk of their beautiful island to get along to Footes Lane and support them in their relegation struggles, and goodness, did they listen! One thousand and fifty eight people turned up for their clash of the not-quite-titans against Greenwich Borough- but they couldn't sing them to victory, as the match ended all-square. Before kick-off, the outcome had been difficult to predict. The Green Lions hadn't picked up a win since 19th January, and didn't have a home victory since 21st November, when Herne Bay were their victims. Borough, in contrast, had improved in recent weeks, a draw with champions Cray Wanderers last weekend following victory over Sittingbourne. The home side took the lead in the first half, as Dave Rihoy turned in a cross at the near post. Borough were behind only eighteen minutes, however- if we deduct the half time interval- and on this occasion Rihoy was the villian of the piece, bringing down Ryan King-Elliott and giving Borough a penalty, which Teshuane Tyreece Walters calmly fired home. The match was then delayed for a considerable period after a collision between two players, Tony Robinson and Keanu Marsh, saw the Borough midfielder require hospital treatment. We hope you're feeling better, Tony. Late drama gave Guernsey the chance to wrap up what would have been a priceless victory. Marsh was fouled in the box, and the Green Lions' usual penalty taker, Matt Loaring, was already sitting on the subs bench. Will Fazakerley stepped up to face Olliver Webber, the keeper who, as you might recall, defied Cray Wanderers when saving from the spot a week earlierto spoil their promotion party. Well Webber is developing quite a happy habit, as he did it again, and when Carlos Canha couldn't force the rebound home Borough could breathe again. The draw sees both sides remain tied at the bottom, on twenty-nine points, but Guernsey have a better goal difference and a game in hand. The Green Lions travel to Phoenix Sports on Saturday, host second-placed Horsham on Easter Monday and then finish the campaign with a trip to struggling Sittingbourne, whilst Borough have two matches, the first against Whyteleafe and the next against promotion-chasing Hastings United. With Faversham Town five points clear of the duo, and Sittingbourne a point further ahead, it would seem certain that one of the two will fall from the Bostik League on April 27th- but which one? We'll keep you abreast of all developments.